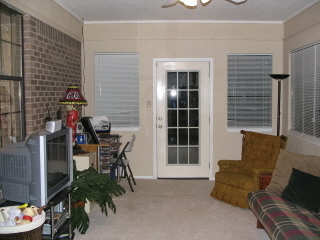 Recently, Jason and I, (really it was mostly me) decided to punish ourselves by painting another room in our house. In our basement in Indiana we had a “Coke Cafe”, complete with an old fashioned coke machine, old records and black & white checkered floor. 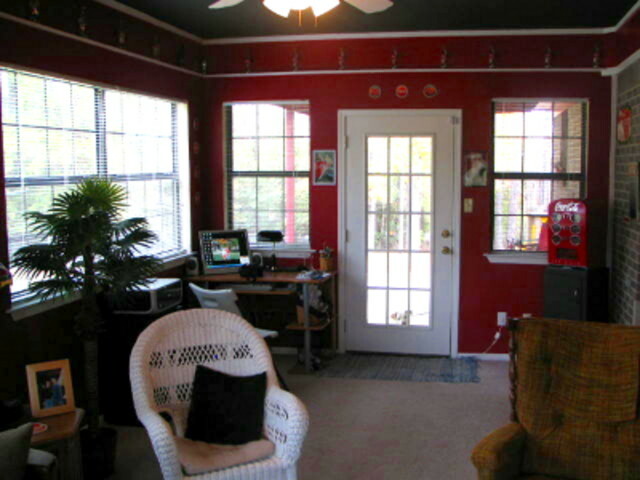 We had lots of decorations left over from that room so we decided to paint the walls red, the ceiling black and all the trim white. We started with the ceiling and it went amazingly well, 1 coat and we were done. Then came the red walls which didn’t go quite as smooth. It ended up taking us about a week to finish the walls, which included 4 coats of paint going around 6 windows and two doors…not a real good time. However, we do like the new look much better than the boring tan walls from before. ~ by legmaker on December 7, 2007. It looks great. 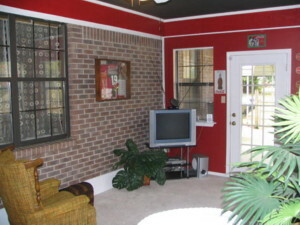 Painting with red, black, and navy blue is always a multi-coat paint job. Hopefully you can add the Coke machine to your new room.